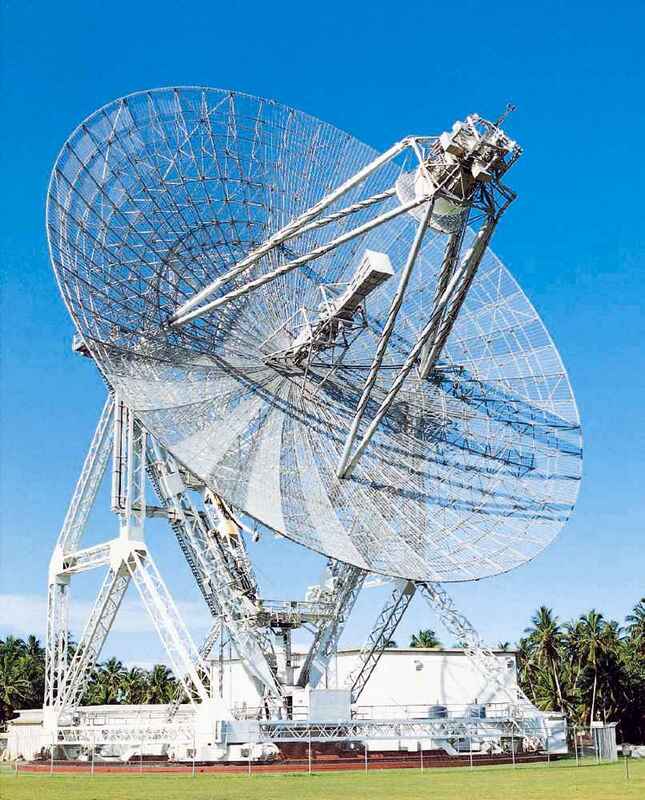 Figure 1: The ARPA Long-Range Tracking and Instrumentation Radar (ALTAIR) on Kwajalein Atoll in the Marshall Islands. ALTAIR (ARPA Long-Range Tracking And Instrumentation Radar) is a high-sensitivity, wide-bandwidth, coherent, instrumentation and tracking radar that is capable of collecting precise measurements on small targets at long ranges. ALTAIR supports several operating modes, including tracking and signature collection at VHF and UHF. 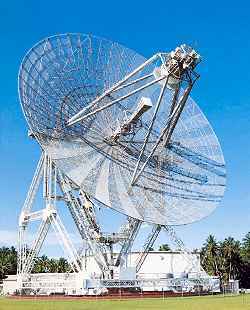 It is part of a network of contributing radar sensors that perform deep-space tracking. The ALTAIR radar was originally built in 1969 as an instrumentation radar. The deepspace capability using different waveforms with intrapulse modulation was installed as part of the UHF system in 1982. The radar is a dual-frequency radar operating at both VHF (155–162 MHz) and UHF (422 MHz). 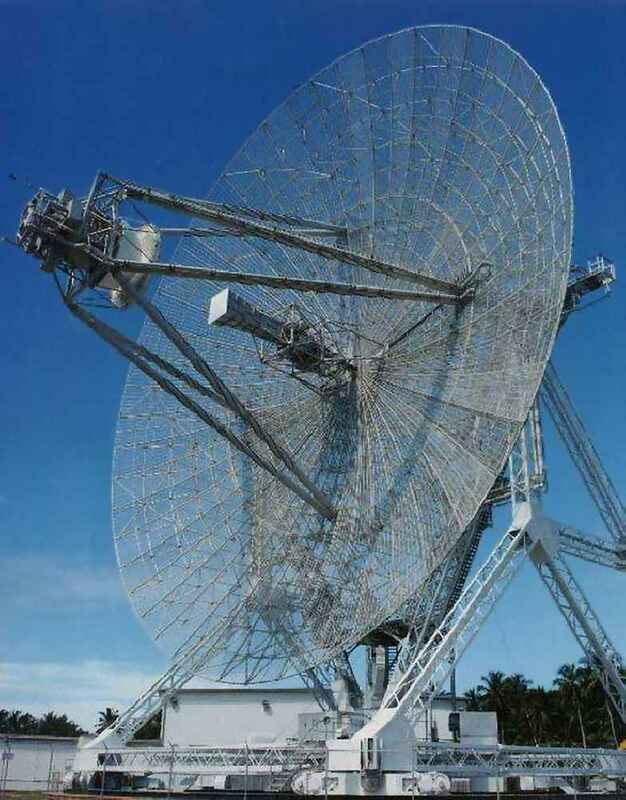 The antenna uses a steerable 150-ft dish (46-m-diameter) and employs a focal point VHF feed and multimode Cassegrain UHF feed in conjunction with a frequency selective sub-reflector (5.5 m diameter). ALTAIR uses in VHF-Band a monopulse feed and transmits right-circular (RC) polarized energy and records left-circular (LC) sum, RC sum, LC azimuth angle difference, and LC elevation angle difference channels. These four measurements facilitate the determination of three-dimensional target position and velocity as a function of radar cross section and run time. ALTAIR can independently track up to 32 targets in both VHF and UHF. Simultaneous track in both frequencies allows realtime ionospheric correction to further refine tracking accuracy. ALTAIR has enough power aperture to track geosynchronous satellites, which are about 40,000 km slant range from the ground-based sensor. Figure 2: This image is often used in Wikipedia, but not explained.